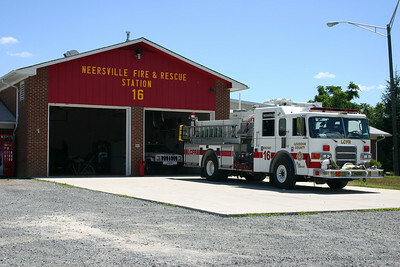 Neersville Fire and Rescue Station 16. This station closed in 2014 when the volunteer program in Neersville dissolved and a new Fire Station 26 was opened in Loudoun Heights. Engine 616 got "dressed up" a bit with the addition of some wheel covers. In addition, some equipment modifications have been made. Note the orange bag on top that has a stokes basket stored in it. This photograph was taken in September of 2013 at station 16 in Neersville. 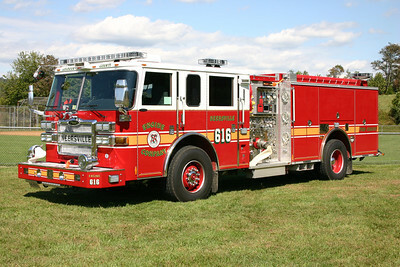 Engine 616 is a 2007 Pierce Dash 1500/750/50. Became Engine 626 in 2013 when Fire Station 16 closed and the new Station 26 opened in Loudoun Heights. 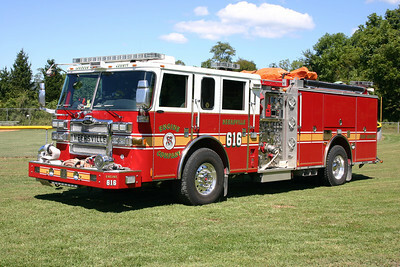 Old Engine 16 was originally ordered as a Training Center engine and then later re-assigned to Neersville as Engine 16. It is a 2002 Pierce Enforcer 1250/750. What you cannot see from this photograph is the "see through" pump panel, which gave a good view of all of the piping behind the panel (for training purposes) - see the Training Center section for a photograph of the pump panel. The pump panel was later switched out to a more common one. 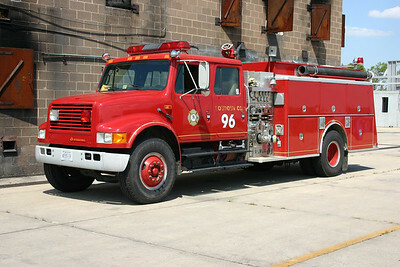 This Pierce engine now runs as Engine 699 as a county wide spare engine. 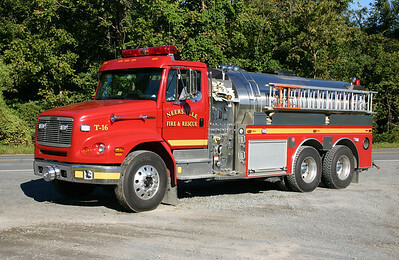 The previous photograph of Tanker 16 was taken shortly after delivery in 2000. This photograph was taken in September of 2013. Tanker 616 is expected to be replaced towards the beginning of 2014 when the new FS 26 opens and replaces FS 16 in Neersville. 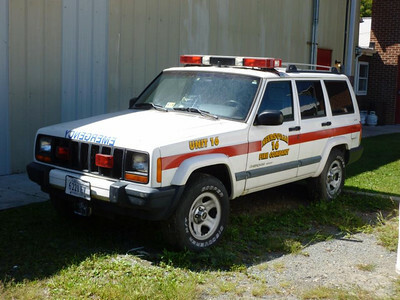 2015 - donated to the Blue Ridge Mountain Volunteer Fire Department in Jefferson County, West Virginia. 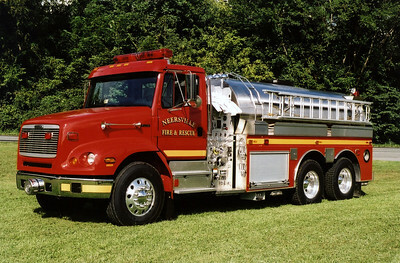 Neersville Tanker 16 is a 2000 Freightliner 112 built by S&S and carries 3000 gallons of water. This photograph of Tanker 16 was taken several weeks after the tanker had been placed into service. 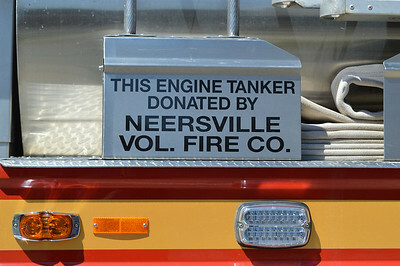 After the Neersville Volunteer Fire Department was dissolved, the volunteers at Neersville donated their 2000 Freightliner 112/S&S 750/3000 tanker to the nearby Blue Ridge Mountain VFD in Jefferson County, West Virginia. 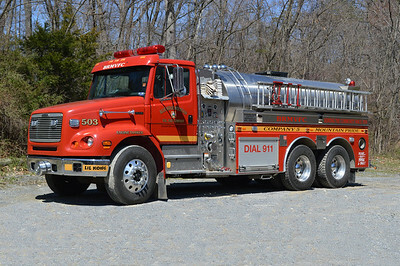 Today the tanker runs as Tanker 503 for Blue Ridge Mountain. Photographed in April of 2015 at Blue Ridge Mountain's main station. An officer side view of old Tanker 16 from Neersville now running as Tanker 503 for Blue Ridge Mountain in Jefferson County, West Virginia. The tanker was donated in 2014 and is now affectionately known as "Lil Kong" for Blue Ridge Mountain. A classy way of saying thank you to the old Neersville Volunteer Fire Company. This sign adorns the Blue Ridge Mountain, WV in Jefferson County Tanker 503 - a 2000 Freightliner 112/S&S 750/3000 that was once Neersville Tanker 16 in Loudoun County. 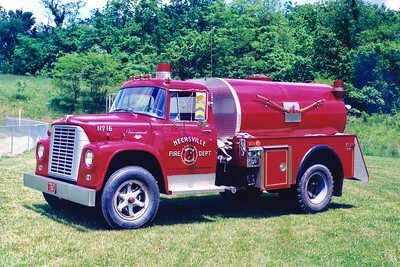 Former Tanker 16 from Neersville, a 1967 International/1980 4-Guys, 500/1500. ex - Philomont, Virginia. Brush 616 in Neersville as photographed in September of 2013. 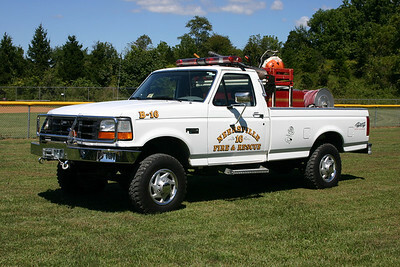 It is a 1994 Ford F350 4x4 with a Micro Pumper skid unit equipped with a 310 gallon per minute pump and carries 200 gallons of water. 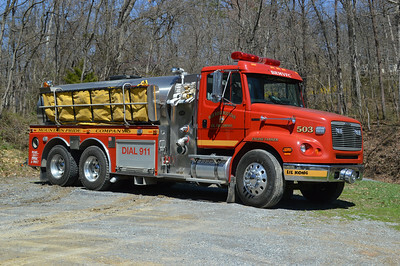 The skid unit was acquired in 2007 from the Sharpsburg, Maryland VFD. 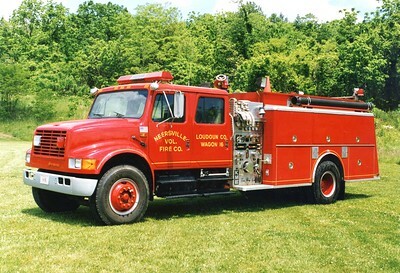 This unit was sold to the Boonsboro, MD Fire Dept. in 2014. 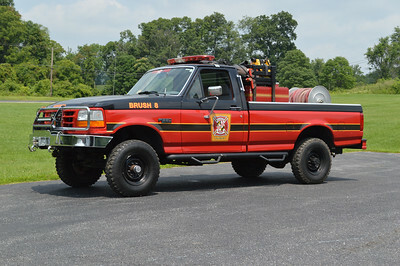 This 1994 Ford F-350 4x4, 310/200 is Brush 8. Rehabbed in 2014 by Boonsboro when they acquired the unit. 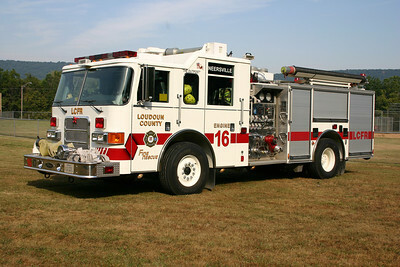 ex - Neersville, Virginia (Loudoun County) Brush 616. 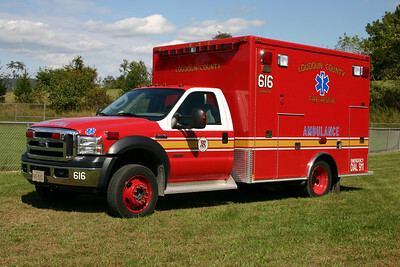 Ambulance 616 is a 2007 Ford F450 built by Medtec. A similar ambulance runs at Aldie Station 7. To reserve in 2015. 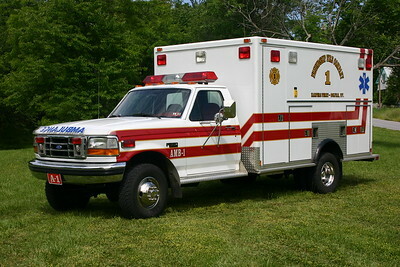 Former Ambulance 16-1, a 1992 Ford F-350/PVI. Sold to Harpers Ferry, West Virginia. Ambulance 1 was a 1992 Ford F-350/MedTec that was destroyed in an accident. 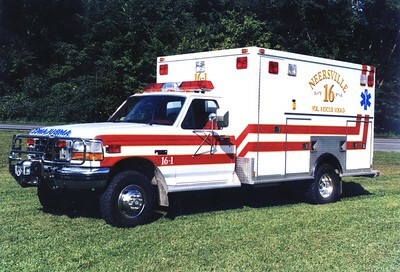 ex - Neersville, Virginia (Loudoun County) Ambulance 16. Former Unit 16 from Neersville.